NOTES The Washington School was used until the 1980s as an elementary school. 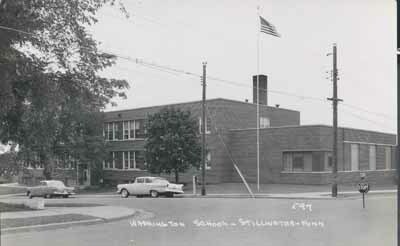 After it was no longer used to teach elementary school students the Washington School was used to lessen the overcrowding problem at the Stillwater High School. For several years high school classes were held there until enrollment at the high school decreased.In 1993, the school was given to the City of Stillwater. Eventually it was decided to lease the building to the New Heights Charter School. The charter school is still using the Washington School today.